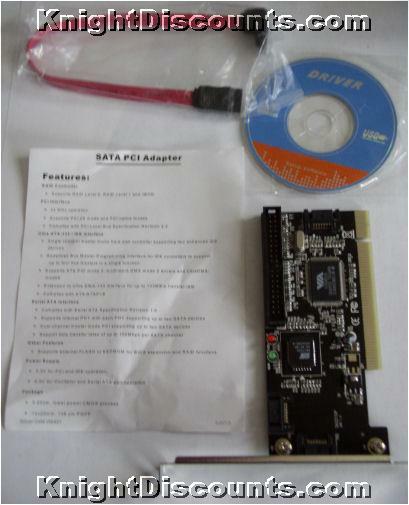 Serial ATA (SATA) RAID PCI Controller Card. Includes two internal & one external SATA connections and one Parallel ATA133 connection. 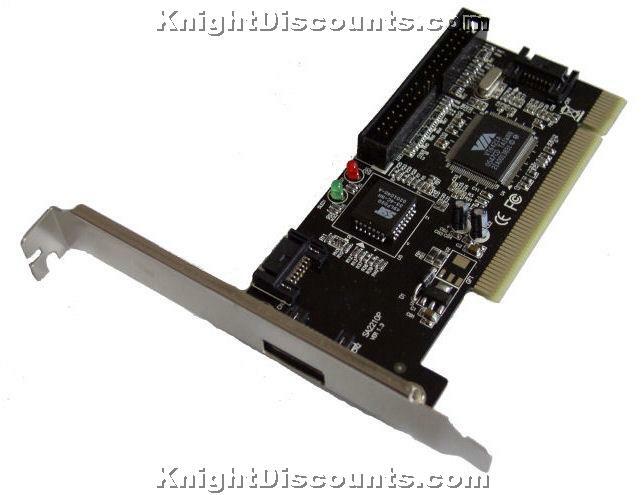 Includes main card, drivers/manual on CD & one SATA cable bulk packed (no retail box).